First brayer your cardstock with So Saffron Classic Stampin' Pad; or your chosen shade of yellow. Add some Wild Wasabi (or your chosen shade of green) - you do NOT need to worry about it looking neat or even remotely map-like! 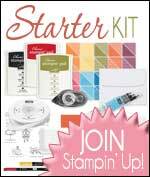 Stamp your "World Map" over the top of your card stock and then add black Stampin' Emboss powder and heat set. Voila! As easy as that. Perfect for all those nautical, travel or perhaps masculine projects.